Many young women today don’t understand the impact of their choices upon their children. They haven’t been taught that they are the ones that should be raising and loving their children deeply which means sacrificing for them and being home with them instead of having others raise them. 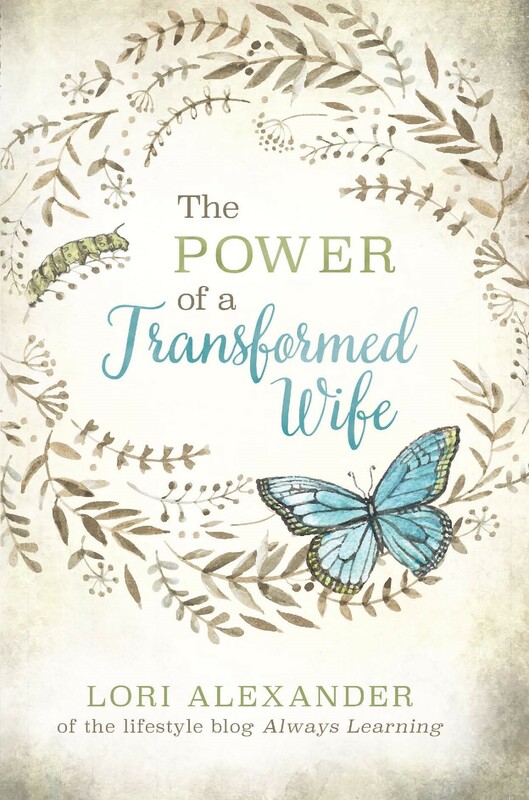 Even if a mother is home full time with her children, she stills need to focus upon loving them or God wouldn’t have had older women teaching young women to love their children. My mom didn’t feel loved by her mother. Her mother may well have loved her very much but from the things she said to my mom and the way she treated her, she didn’t feel love from her and has struggled with insecurity her entire life, even at the age of 87 years old. My dad was an only child and deeply loved by his mother. He doesn’t have an insecure bone in his body. I felt deeply loved by my mom and am a secure adult. I conducted a poll with the women in the chat room about this topic to see what their responses would be. The options were: 1) Loved by mom = grew up secure. (54 women); 2) Didn’t feel loved by mom or not loved by mom = grew up insecure. (60 women); 3) Loved by mom = grew up insecure. (19 women). So from my very unscientific poll, women grew up to be much more secure if they felt loved by their mothers than those who were not. 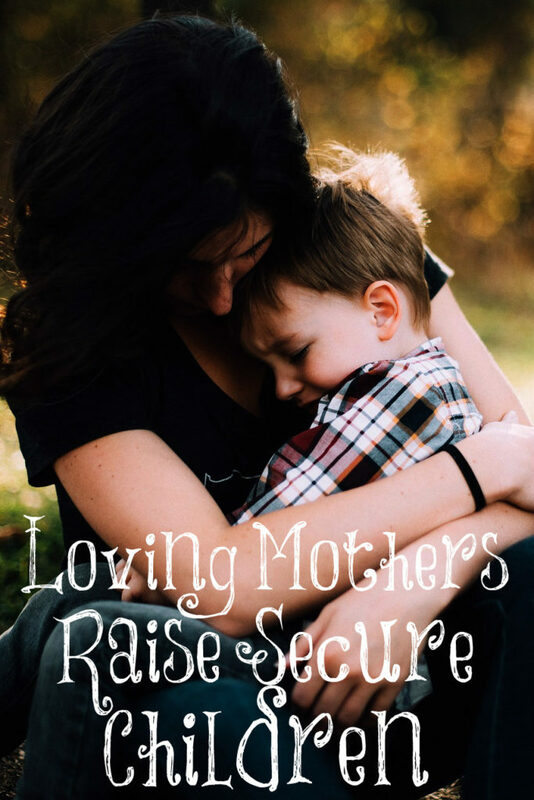 It makes common sense to me that those women who were deeply loved and cared for by their mothers would most likely grow up to be secure adults, especially if their mothers were home full time. (This wasn’t accounted for in the poll.) I know Dr. Brenda Hunter who wrote the book “Home By Choice” found the same thing to be true from her scientific studies. It’s so important, women, to deeply love your children even if you don’t feel like you like them. Decide to be affectionate, tender, kind, and loving towards them. Remember, we don’t live by our feelings but by obedience. Your children, who you may love but not like so much, know how you feel about them. Most of us aren’t so good at hiding our feelings. Some of these women who grew up not feeling loved, thus insecure, by their mothers became secure when they learned who they were in Christ. Teach your children from a young age who they are in Christ. Teach them their value and worth comes from Him and not what others will say about or to them. After feeling loved and secure in your love, then they will be prepared to go out into the world and be secure in who they are in Christ. They will remember that God promises to never leave nor forsake them. Hug your teenage children. Smile at them when you see them. Let them see that you find joy in them. They still need your love and affection. The world is an insecure and scary place but if your children have a warm and loving home with an affectionate mother in it, these children will grow up secure and most likely emotionally stable. Discipline and train them in love. Tell them that you are spanking them when they are young and disobedient because you love them so much. Build a loving relationship as they grow up so you’ll have a loving relationship when they are adults. This is how it goes with this eternal principle: We reap what we sow! That they may teach the young women to be sober, to love their husbands, to love their children. Great post, Lori. I am finding that the teenage years are SO important for showing love to your children. They may act like they are independent, but they need a mom more than ever at that age. Thanks for sharing these books titles! Thank you for this post! We mothers need to be reminded of this. Hi Lori, have you read Tedd Tripp’s “Shepherding a Child’s Heart”? If so, I would like to know what you think of it. I agree but disagree with this. Yes, mothers do have a pivotal role to play in their child’s life, but my feelings of security/insecurity were a direct result of my relationship with my father. Don’t get me wrong, my mother loved us, took care of us when we were sick, cooked and cleaned for us and gave of herself completely to us all. But…. my dad had the final say in the household and my mother demonstrated that time and again. It was important for dad to give a hug or tell us he loved us or for us to hear approval for some little thing. On the same token, the times that I was disciplined by dad also stand out in my memory. As we point our little ones toward God, how they view their relationship with dad is going to directly affect how they view their Heavenly Father. It really takes work, both parents knowing their proper roles and most importantly having a Christ centered family. The picture of giving our children up on the altar of mammon makes me think of the child sacrifices in the OT, when the wicked kings fell away from God and began sacrificing their children to idols. It’s a very sobering thought that we still have the power to do that. We are seeing the fallout of what we do as parents affecting our children the most.